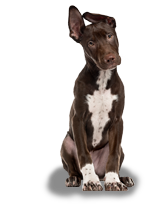 Theologians dispute about whether dogs can be Born Again, but we are convinced that Sit Happens made this happen with Dio. Dio, short for Diogenes, was named after the Greek philosopher who founded Cynicism. Dio was 10 months old when we signed him up with Sit Happens. We wanted a calm, philosophical puppy worthy of his namesake, but instead we had a crazy, uncontrollable monster. A purebred sheltie, Dio’s energy always got him into trouble. When we went out and left him alone he would express his love of books by chewing on them. Or videotapes, or CDs … anything left out where he could reach it. It was basic boredom – he needed something to do all the time or he would do something bad. Dio always has to have a job to keep him occupied or he gets himself into trouble. Our intercom gives a special ring to signal that a visitor is at the lobby door. It makes three short rings on the telephone. Dio recognizes this sound and goes crazy; no doubt anticipating the pizza delivery guy. The only way we could have any peace was to let him out of the suite and let him wait by the elevator to herd our guests to our door. This worked after a fashion; but Dio was too excited to greet our guests without jumping on them, barking, and generally making a nuisance of himself. But because he was so cute most people forgive him for jumping on them, or for most of his other crazy behaviour. So his cuteness was a source of problems. Dio knew most of the basic commands, but this did little good because he was usually too excited to listen for them. 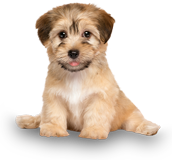 Many was the time we were ready to send him back to the breeder or to Sheltie Rescue – it was only his cuteness that saved him. The final straw was when we took a short holiday and left Dio with a neighbour, We had a reciprocal dogsitting arrangement with these people. 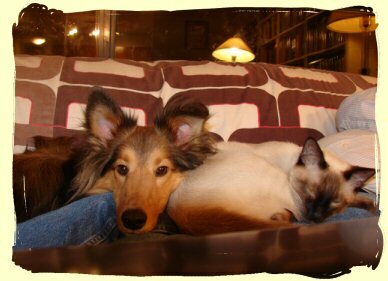 Their dog got along well with a previous sheltie we had, and their cats tolerated our sheltie. But Dio was another story: he was just too hyper for their dog, and couldn’t accept the fact that their cats didn’t like him. The neighbours were very polite about how Dio did that weekend; but later we found out that when they went on their vacation they left their dog with a professional dogsitter so they wouldn’t have to face Dio again! We were at our wits’ end when we heard of Sit Happens. The name alone made it worth a try! The first in-home visit gave Sit Happens a chance to see Dio in his element, so she could give practical advice. The main thing they recommended was getting more exercise for Dio. If he burned off that excess energy he would be much calmer. Not only would this be good in itself, it would also slow him down so he could pay attention to commands when given. This worked like a charm! When he gets his exercise Dio is calm and attentive; but on those days when there isn’t time for Dio’s workout in the park, or the weather doesn’t permit, he can still be a handful. He doesn’t chew books anymore, although he can’t be completely trusted not to chew the odd piece of paper from the garbage can if left alone for too long. So the remedy for this is his crate. Dio looks forward to his time by himself; he’s quite content to go to his crate when asked. Sit Happens classes in the park are Dio’s opportunity to shine. 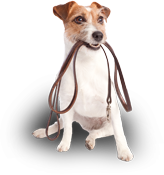 Shelties love to have a job, and they are so proud of themselves when they know they are doing things right. Sit Happens make things fun for everyone; even the humans in our family who are not early risers! Dio is truly reborn now – he seldom jumps up on people unless he is permitted, he knows to listen, and he is worthy of his namesake, Diogenes.